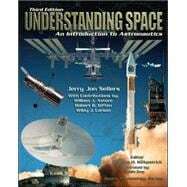 This is an introductory text in astronautics. It contains historical background and a discussion of space missions, space environment, orbits, atmospheric entry, spacecraft design, spacecraft subsystems, and space operations. It features section reviews summarizing key concepts, terms, and equations, and is extensively illustrated with many photos, figures, and examplesSpace law, politics,and economics This is a truly user-friendly, full-color text focused on understanding concepts and practical applications but written in a down-to-earth, engaging manner that painlessly helps you understand complex topics. It is laid out with multi-color highlights for key terms and ideas, reinforced with detailed example problems, and supported by detailed section reviews summarizing key concepts, terms, and equations.